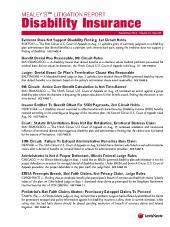 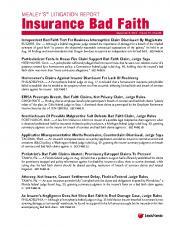 Twice-monthly newsletter on litigation alleging insurers' breach of the implied covenant of good faith and fair dealing. 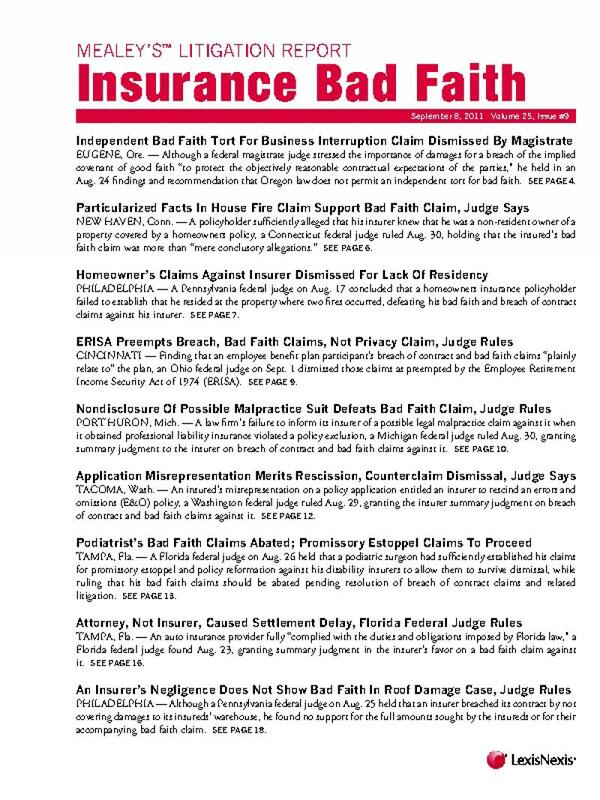 Mealey's Litigation Report: Insurance Bad Faith details insurance disputes arising from alleged breaches of the implied covenant of good faith and fair dealing. 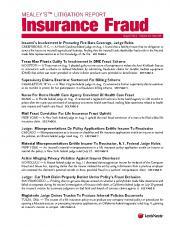 The topics covered involve third-party and first-party actions, choice-of-law disputes, punitive damage claims, coverage denials and delays, the definition of "bad faith," relevant legislation, and determinations of an insurer's duties to investigate, settle, defend and indemnify disputes in different state and federal jurisdictions.